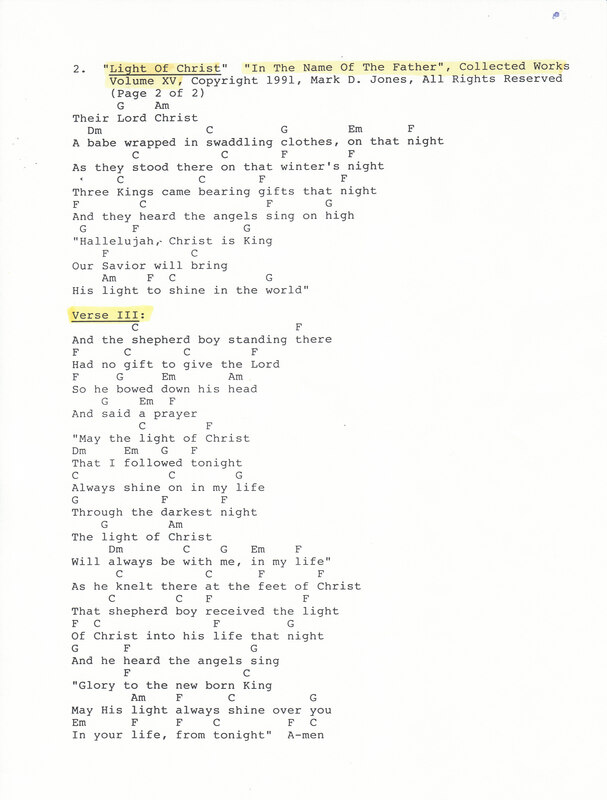 Light Of Christ is one of a number of very personal Christmas songs that I’ve written which have affected me and deepened my faith as I put myself in the part of one of the song’s characters – in this case a little shepherd boy – who personally receives the Light of Christ at the foot of the manger in Bethlehem. Like the little shepherd boy, I have no gift fitting to give the Lord – so I have asked Jesus to give me His light, the Light of Christ – that will always be with me in my life. The Truth of Jesus shines brightest through the simple perspective of children in their purity and their innocence. May we all adopt childlike hearts, and look at our world through the simple love of a child…as given to us by our Lord and Savior – Jesus Christ the Lord. Amen. 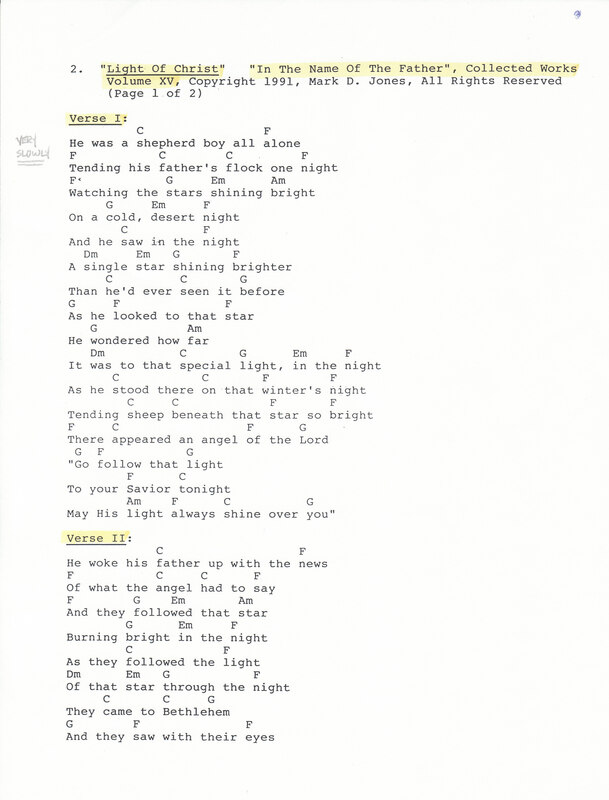 This entry was tagged Christmas Songs, Light Of Christ, Mark D. Jones, Original Songs. Bookmark the permalink.